What is the BEES Program and why is it needed? The Black Economic Empowerment System (BEES) is a systematic approach to black community economic empowerment and it is all-inclusive. The BEES Program is entering a virtually UNTAPPED market. Black people have been left behind and neglected economically for a long time, which has resulted in a market that has a very high demand for a systematic approach to Black economic empowerment, but with no suppliers, until now. Collaborative Venture’s first Associated Vendor, House of Africa, and Economic Empowerment Services’ first application of BEES has been successful. BEES Pilot Project. 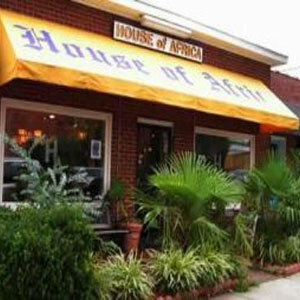 Collaborative Ventures has worked out the following arrangement with the House of Africa. When a Community Participant purchases any item from The House of Africa, they will distribute 20% of every sale to Collaborative Ventures. Collaborative Ventures will distribute 5% to the Community Participant and 5% to the community. The BEES is transparent – meaning all community participants will be able to see exactly where the money is going. In this case, the community is the Juneteenth Festival of the Carolinas here in Charlotte, North Carolina. Pape Seydou Ndiaye is the President of the Juneteenth Festival and the owner of The House of Africa.